Liam joined Pollok from Stranraer in the 2015-16 season and has undergone a position change from right back to central midfield. Once established in the side he became a key player but picked up a bad injury in 2016-17 and has only recently returned to action. After a spell in the youth system at Celtic, he began his pro career with Falkirk, and also spent some time on loan at Arbroath. He is the son of former Dumbarton and Vale of Leven player Joe. 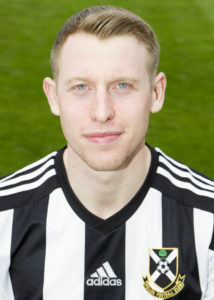 He left Pollok in June 2018 at the conclusion of the 2017-18 season and signed for Clydebank.